Janavaras Associates International Blog: Why Project based teaching / Learning tool ? Why Project based teaching / Learning tool ? Projects in the classroom are as old as the classroom itself. “Projects” can represent a range of tasks that can be done at home or in the classroom, by parents or groups of students, quickly or over time. 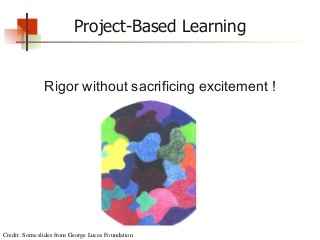 While project based learning tool (PBL) also features projects, in PBL the focus is more on the process of learning and learner-peer-content interaction that the end-product itself. The learning process is also personalized in a progressive project based teaching environment by students asking important questions, and making changes to products and ideas based on individual and collective response to those questions. In PBL, the projects only serve as an infrastructure to allow users to play, experiment, use simulations, address authentic issues, and work with relevant peers and community members in pursuit of knowledge. 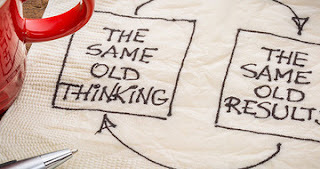 By design, project based learning is learner-centered. Students don’t simply choose between two highly academic projects to complete by a given date, but instead use the teacher’s experience to design and iterate products and projects–products and projects that often address issues or challenges that are important to them. Project based teaching tool engages students in real projects for real corporations. Furthermore, this is an effective learning methodology which can be easily incorporated into a dynamic and challenging learning context such as international business education. Engaging in student-corporate collaboration on international business projects is, therefore, an excellent way to enhance student learning. However, when designing a project-based learning course one must keep a learner perspective, but never neglect the goal of delivering value to corporate sponsors. project based learning is defined in this paper and practical advice is given for the implementation of project based learning and project-based teaching into international business courses. Corporations can benefit from working in collaboration with student teams and these benefits include access to cost-effective resources (students) and to the expertise provided by faculty. Furthermore, the skills and competencies gained by learners in PBL courses match those sought by companies who are beginning or developing their international business. GMMSO4 software, International business software, can also be used as a project based learning (PBL) tool and Project based teaching tool for educational purposes in Universities, training centers and businesses alike. The software tools from Janavaras, includes international Business Strategy tools, Globalstrategic planning software, strategic planning management tools, Business Strategy teaching tools etc. 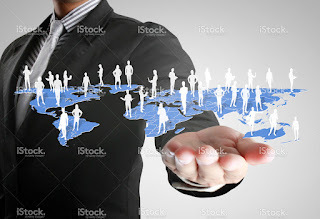 If you are looking for an effective project based learning tool to teach international business or global marketing, you can get the global marketing management teaching tools from Janavaras Associates International (JAI), located at 27 Capri Drive, Mankato, USA, which will helps your business in entry mode stategies. You can ask for instructor free trial for trying the software to know whether it will meet your needs and requirements. eToro is the ultimate forex trading platform for rookie and established traders. What a great post it is!business learning software thanks for sharing your valuable blog.